Toffee, almonds, chocolate… need I say more?! 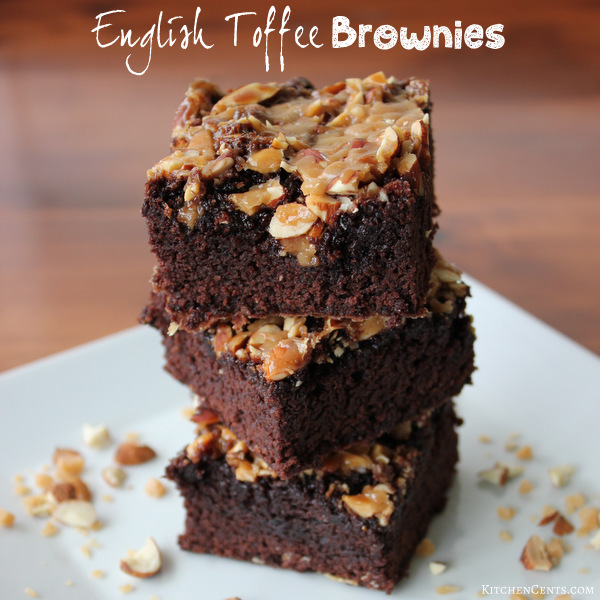 These English Toffee Cake Brownies are so delicious with their sweet toffee crunch, nutty almond flare and a divine cake-y chocolate brownie base. It will seriously take you to brownie heaven! 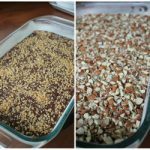 A must try for all you brownie lovers especially those who love cake-y brownies. 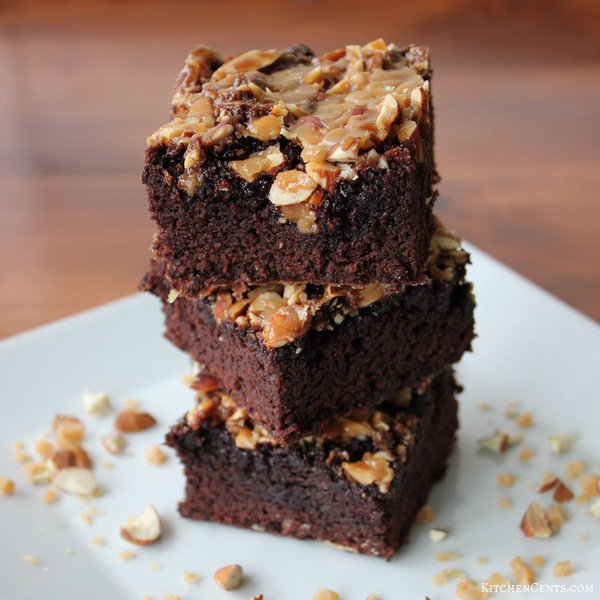 These brownies are one of my all-time favorites and a definite crowd pleaser. 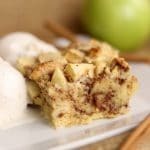 Not only do they look scrumptious with that toffee and almond topping, but they’re also really easy to make. Here’s what you’ll need. 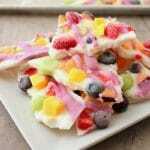 Full printable recipe is below. Any recipe that requires melted butter instead of softened is a plus in my book. I always forget to pull the butter out before starting and then when I try to soften it in the microwave I just get a puddle of butter. 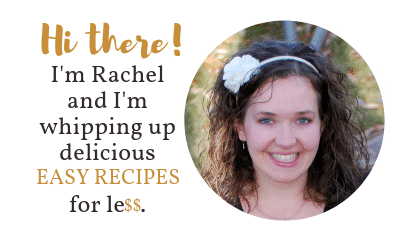 If you have the same problem, no worries because this recipe starts with a puddle of butter. 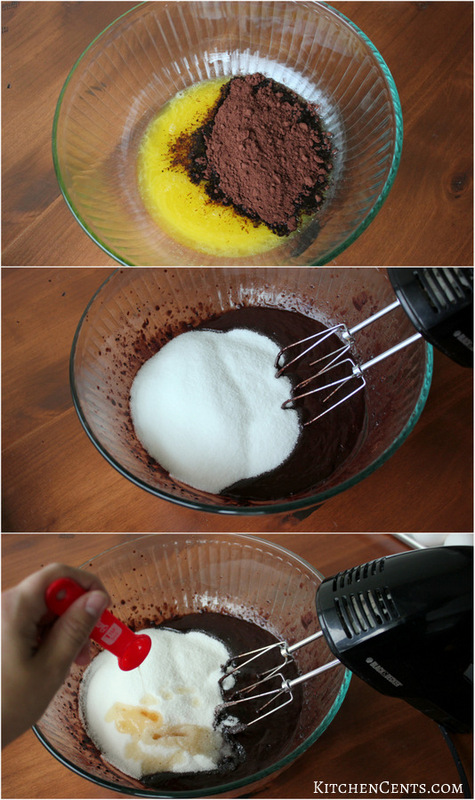 First you will melt your butter then add the cocoa powder. After the butter and cocoa are mixed add the sugar and vanilla. Once the vanilla and sugar are incorporated it’s time for the eggs. 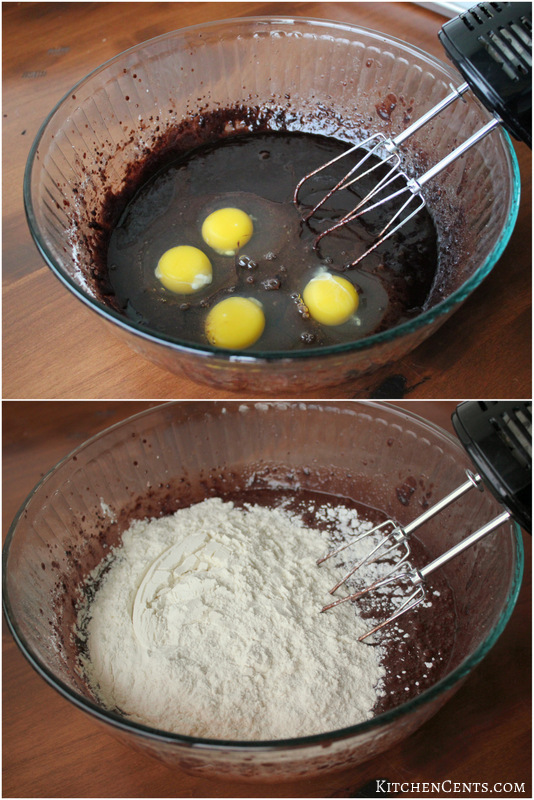 Beat the eggs into the batter and then you are ready for the dry ingredients (flour, salt and baking powder). 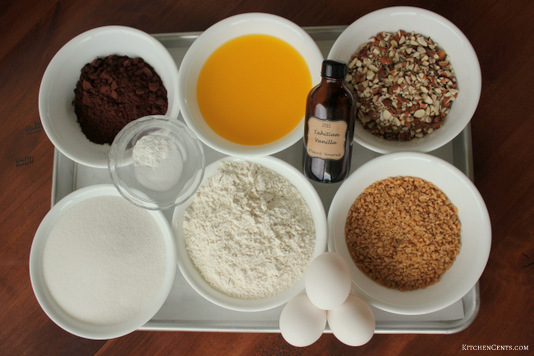 Mix dry ingredients into the batter just until it’s incorporated. DON’T over mix. Once the brownie batter is mixed pour it into your prepped (lightly greased and floured 9 x 13 pan). 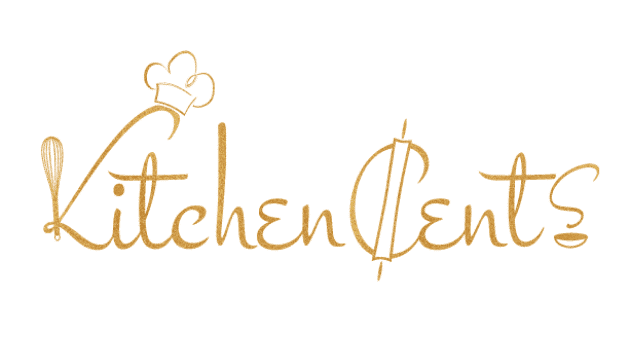 This is where the real magic happens. Sprinkle half the toffee chips right onto the batter then sprinkle the chopped almonds. The last step will bring it home, so-to-speak. Sprinkle the remainder of the toffee onto the almonds. This step will help the almonds “stick.” One of my least favorite things with any topping is when the topping falls off before you can get it into your mouth. The extra toffee on top will dodge this catastrophe. That’s it! Bake it, cut it (or eat right out of the pan if you please) and enjoy. 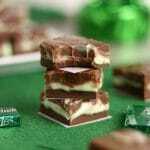 This sweet treat is sure to score major brownie points at your next gathering. 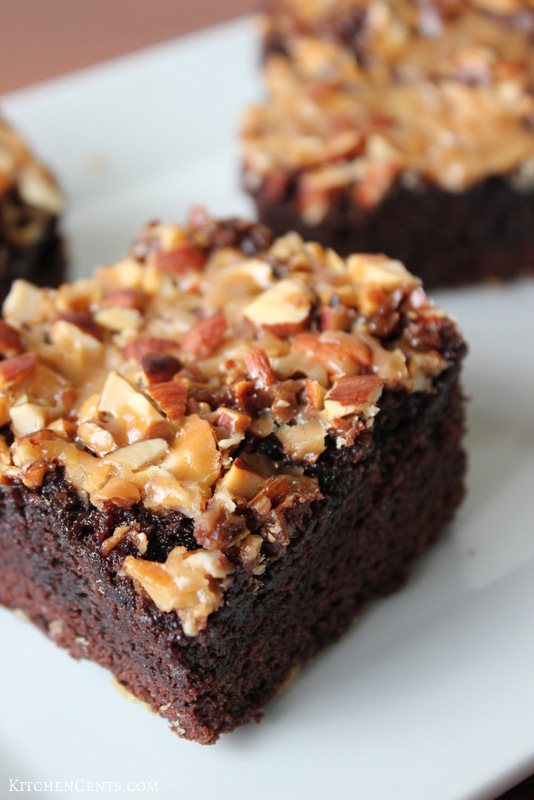 Sweet toffee flavors combine with nutty almonds all on top the perfect cake-y brownie. It's a must try! In a large mixing bowl pour melted butter, add cocoa powder. Mix well. Add sugar and vanilla. After combine beat in eggs. Add flour, salt, and baking soda. Only mix until incorporated. DON'T over mix. 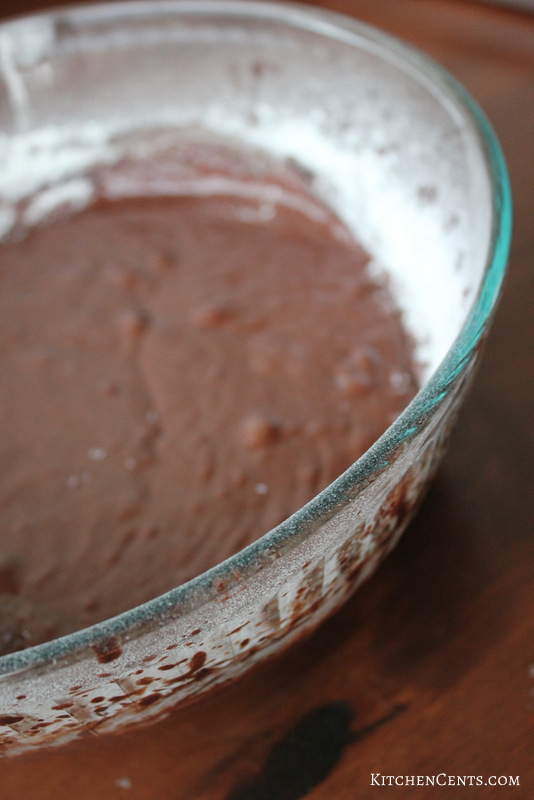 Pour brownie batter into a prepared (lightly greased and floured) 9x13 pan. Sprinkle 1/3 cup toffee bits onto brownie batter. Then sprinkle all the almonds on top. Lastly, sprinkle the remaining 1/3 cup toffee bits on top of the almonds (this will help the almonds stay in place). Bake at 350 degrees for 30-35 min or until toothpick comes out clean. What kind of brownies are your favorite? I’ve always felt there are two types of people in this world… cake-y brownie types and chewy brownie types. 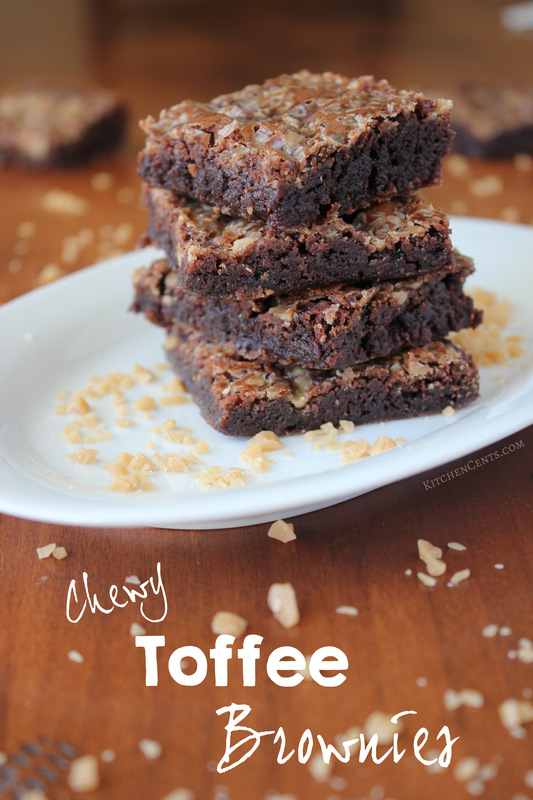 If you’re the latter you’re got to try this chewy toffee brownie. It’s chewy all the way.